Bullying is not acceptable in the playground nevermind the work environment. Nobody should have to put up with bullying and action needs to be taken to combat the perpetrator. If you believe you are being bullied at work then don’t suffer in silence, get the matter out into the open. It is important that you don’t try to cope on your own. You will feel better just by speaking to someone about it, such as a sympathetic colleague or a friend. As well as providing words of support, if you explain the treatment you have suffered they will likely help ascertain whether you are justified in feeling victimised and should take the matter further. If you feel strong enough to do so, then your first step in dealing with the problem should be to confront the bully in question. It’s possible that the bullying is not deliberate and if made aware of the affects of their behaviour then the perpetrator will likely apologise and put an end to it. Before confronting the bully think about what you want to say beforehand. Stay calm and polite, and don’t affect too casual a manner otherwise they might not take your grievance seriously. Tell them that you find their behaviour unacceptable and request that they stop. Bullies are not keen on being confronted, particularly if done in a calm and considered manner. And often this is all that is required. 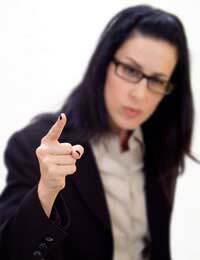 If you don’t feel up to confronting them then you could ask another colleague to do it for you. Either way a direct approach is certainly the best. You shouldn’t resort to sending them note or email explaining your feelings. In addition to confronting the bully it is also highly recommended to keep a detailed diary record of the various incidents, including times and dates, as well as names of witnesses. Individual episodes may seem trivial in isolation but collected together in a diary format often create a disturbing picture of sustained pattern of bullying. By compiling this it will not only help hit home to you that you are not overreacting and something must be done about it, but it will also provide valuable evidence when the bully is confronted. With this type of ‘indirect bullying’, victims are deliberately made to feel socially isolated, so that they are left feeling alone too scared to speak out to anyone. By talking to someone about it you are effectively breaking the bully’s spell. If you feel so isolated from your colleagues that you can’t speak to them then there should always be members on hand in your organisation who will be able to help you. Your employer has a ‘duty of care’ policy to help you with any bullying complaints. There are a number of methods you can follow if you have been unable to resolve a bullying problem by confronting the culprit. Firstly you can seek informal advice on dealing with the matter from somebody in your office human resources department, your manager or a harassment advisor, if they are available at your place of work. If you are a member of a trade union then you can also speak to an official safety representative in confidence to tell them what has been happening. They will offer the advice and support you need and will be willing to address the issue directly by speaking to the bully either with you or on your behalf. They can also help you with a formal complaint if it comes to that. If you are not a member of a union then you have every right to join one. If you are unable to solve the problem informally then the next stop on the trail of resolution is to follow your organisation’s grievance procedure. Having issued a formal complaint the first stage of the procedure is to seek an informal resolution with the aid of your immediate manager – or the next most senior person if they are the subject. If this proves unsuccessful then the case will move on to the full formal stage which will include a written statement followed by a meeting and then an appeal. The grievance procedure is a necessary forebear to any formal action taken outside of the work environment, such as taking a claim to an employment tribunal. Such a claim must be issued within three months of the last bullying incident and only be pursued if well advised to do so. I have been bullied for approx five years if not more at work. The problem is when a manager is the ring leader it is hard to not only prove but stand up against the supporters or click as I have come to call it. To leave a job you love is heart breaking but I must. I have been off work for five months now with stress and had two different sets of councillors who have been a complete God send to me. They have helped me to believe in myself and helped me to have a voice. I can beat bullies and so can anyone else given the confidence to do so. Remember bullies are cowards.